My son is only 4 years old but if I had to guess his future career, I’d have to say a race car driver. There’s no slowing this little guy down! I want to give him the opportunity to try as many activities as he’d like while he figures out his interests so right now he’s in both dance & soccer. Sure, he may kick the ball into the wrong net & he often dances to his own beat but he’s having fun & that’s what matters most. I want him to know he can be anything he wants to be – a star athlete, a scientist, a veterinarian, an entrepreneur…the list goes on. Since Barbie made her debut in 1959, she has had over 155 careers & she’s not done yet! From a CEO to a Fairy Princess & everything in between, Barbie is showing our kids that you can be anything you want to be. A great way to encourage your kids to dream big is through imaginary play & we have some fun printables to help you with that – free vet printables! 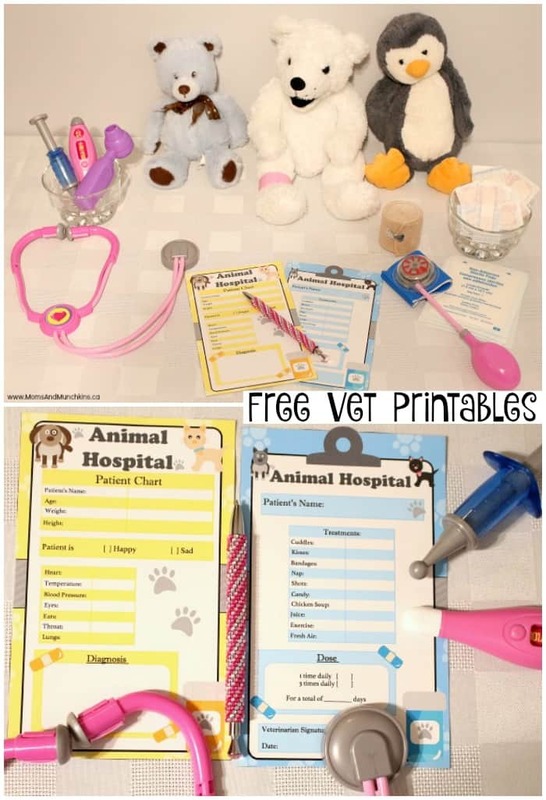 Your child can set up their very own at-home vet clinic with these free veterinarian printables. 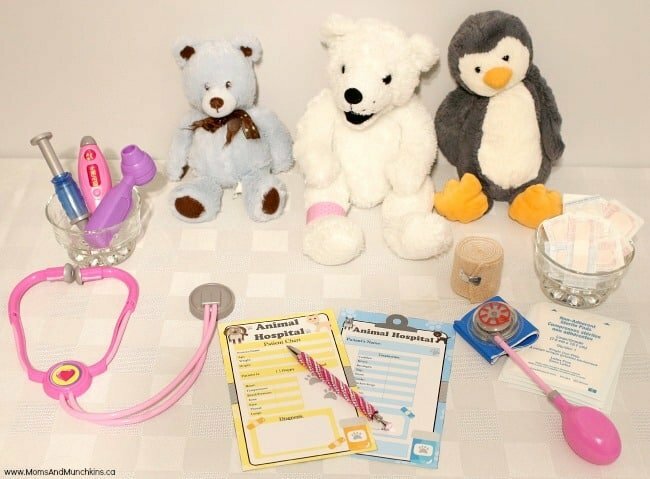 Simply gather some toy doctor tools, some safe first aid supplies (bandages, gauze pads, etc. ), a pencil and some furry patients. 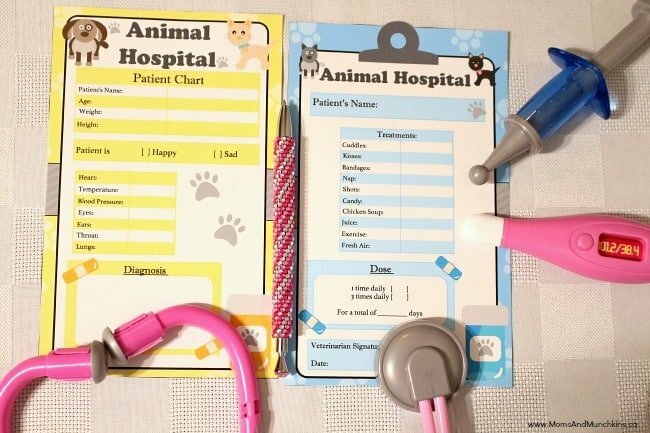 The free vet printables include both an exam page (checking vitals, giving a diagnosis) and a prescription page. I hope the next treatment prescribed by my doctor is candy! To encourage your child’s imagination, we have an exciting Barbie giveaway! 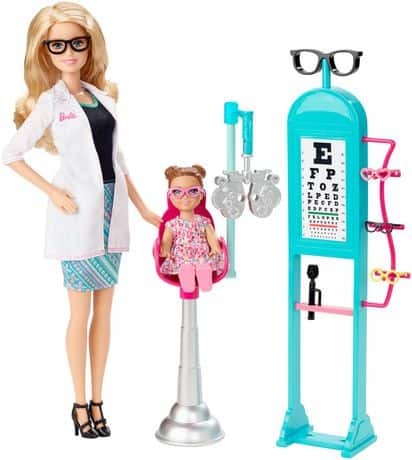 Enter below for your chance to win a Barbie You Can Be Anything prize pack including: Barbie Careers Eye Doctor Playset and two Barbie Fashionista dolls. This prize pack is valued at $49.99! THIS GIVEAWAY IS NOW CLOSED. CONGRATULATIONS HEATHER W.! *Disclosure: I was compensated for this post; however, all opinions expressed here are my own. 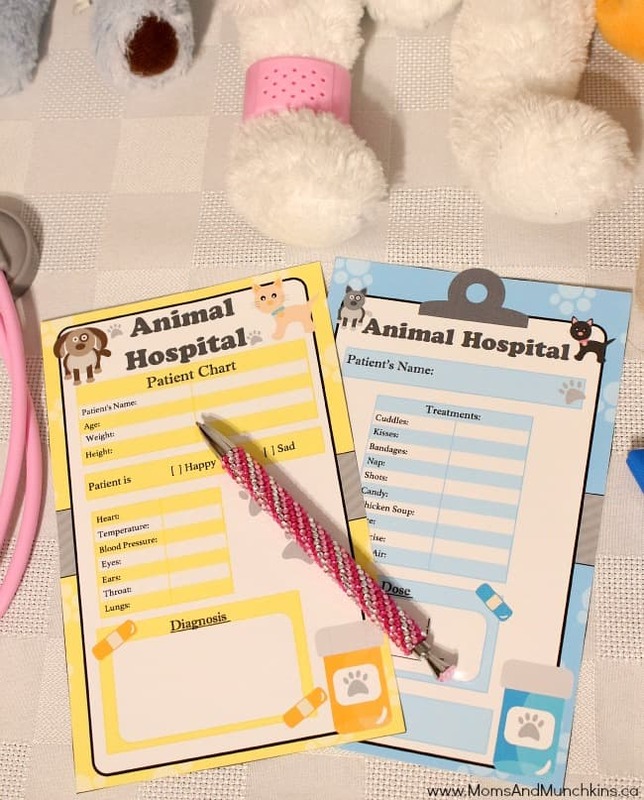 Printables designed by our designer Wendy’s Printable Party. Adorable clipart courtesy of Erin Bradley Designs. Love the Barbie You Can Be Anything line.